There are many all-in-one marketing software tools available out there and when they seem so similar, it can be difficult to choose which one is best for your company. HubSpot and InfusionSoft are two of the most popular platforms and each come with their own pros and cons. That's why this comparison post should help you come to a conclusion as to which is right for you. So, HubSpot vs InfusionSoft: which is best for inbound marketing? InfusionSoft tiers its packages based on tools and the number of contacts you need. HubSpot offers a wider range of tools to all tiers but package prices increase the more contacts you hold. When it comes to choosing a marketing platform, one of the most important things you and your team need to think about is what tools you need for your business. Can the platform's features help you achieve your goals? The higher the package level, the more contacts you are able to save (from 5,000 to 100,000) and the more features you have access to. The features range from marketing and sales automation to powerful reporting tools and the ability to build landing pages and forms. But these tools are available to all on HubSpot. The base tools you need are included in all HubSpot tiers. In addition, HubSpot's prices are based on the number of contacts. So, once you've chosen your package level, you pay to get more contacts instead of more products. This allows businesses to grow with the platform at whatever speed they need to. InfusionSoft is best suited for eCommerce businesses in particular and HubSpot is great for a variety of industries due to it being an all encompassing marketing suite (but does now have a Shopify integration). Both HubSpot and InfusionSoft offer inbound marketing tools meant for all sizes of businesses. One major feature is that InfusionSoft includes a shopping cart and order forms - something that HubSpot doesn't have. This makes InfusionSoft a great choice for eCommerce businesses. However, HubSpot does offer ways for you to integrate your eCommerce site into the platform - for example, with the Shopify integration or by using APIs. InfusionSoft has a useful Drag and Drop Campaign Builder. You are able to see a bird's eye view of your campaigns so as long as you know what each component represents, management becomes much clearer and more organised. HubSpot has a similar tool, but there's no drag and drop capability. However, there seems to be a steep learning curve with InfusionSoft. Their reporting tools are powerful, but their web analytics tools are said to be unreliable. Plus, there's no way to track lead sources - you have to buy additional third-party software. There's also no blogging tool, you can't create landing pages nor can you run A/B tests. If you want a landing page, you'd need to use third-party tools which you'd have to pay for and to run A/B tests, you'd have to create two versions of something and then use tags to indicate which version to send to a particular group of contacts. As for blogging, you can integrate Wordpress with InfusionSoft, but it would be more convenient to have a built-in blogging tool. In contrast, HubSpot is highly intuitive and easy to use. You have access to a fully integrated CMS tool that includes a blogging tool (read some reasons why we love the HubSpot blogging tool here). HubSpot is hugely centred around content creation and allows you to customise content that's SMART and optimised for the specific stage in the Buyer's Journey your customers are in. As well as this, you're also able to A/B test your content, whether it's a landing page or a CTA. InfusionSoft offers over 80 integrations and HubSpot offers over 150. Both support API integration. A good inbound marketing platform should offer a range of specialty tools that you can integrate with it and that 'marketplace' of apps should always be growing. This means you're given plenty of opportunity to keep improving your marketing efforts. InfusionSoft currently has 80+ applications that users can integrate with their platform. The majority of these apps are focused on the selling side of business as the software is mainly geared towards eCommerce. The main categories are: Business Management, Analytics, Accounting, Social and Lead Generation and eCommerce. The apps have been rated and reviewed by other users, which is particularly helpful. 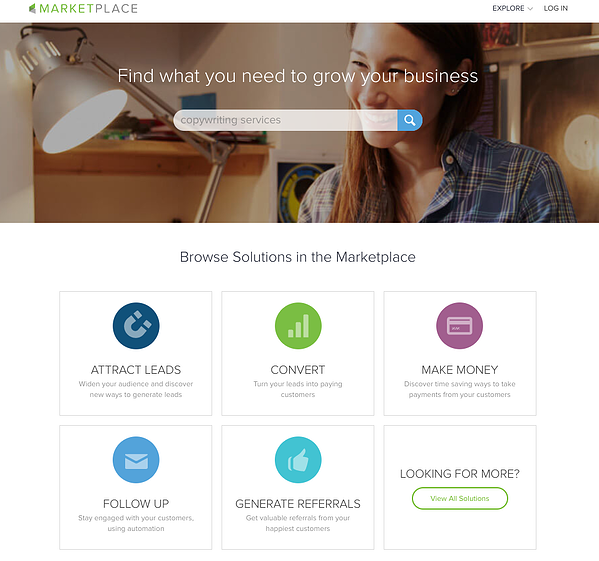 HubSpot's Marketplace offers 150+ applications that cover a wide range of areas, not just eCommerce, and they include Social Media, eCommerce, CRM, SEO, Analytics and Mobile. Each app is an extension of the HubSpot platform which makes user experience smooth and seamless. Like InfusionSoft, the apps have been rated and reviewed by other users and many of them are free to try. Plus, both HubSpot and InfusionSoft support API integrations. Both offer training programmes based on their different packages but HubSpot offers a wider range of classes and more in-depth training. Inbound marketing is a relatively new concept so as well as choosing a platform that suits your business needs, you should also choose it based on its ability to train you and your team. As well as this, marketing platforms are always being upgraded so a comprehensive training and support feature is very important if you want your team to always know what they're doing. A 30-day kickstart training programme which is required for all three versions. Guidance on how to set up your first campaign and InfusionSoft will help build out the components. Inbound University - you can attend a live three day training course that covers best practices. Virtual Academy - to help the newer users become more familiar with the software's capabilities and features. 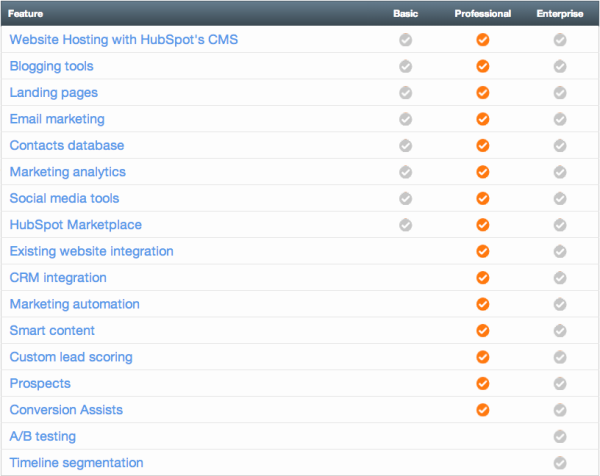 HubSpot offers an even broader and more in-depth training regime than InfusionSoft. Not only will you be learning from the software's providers, but you'll also be helped by some of the best inbound marketers around. HubSpot Product Training and Certification - a great tool that allows you to train yourself and any new team members. Classroom Training - various training sessions are available throughout the year, covering all skill levels. 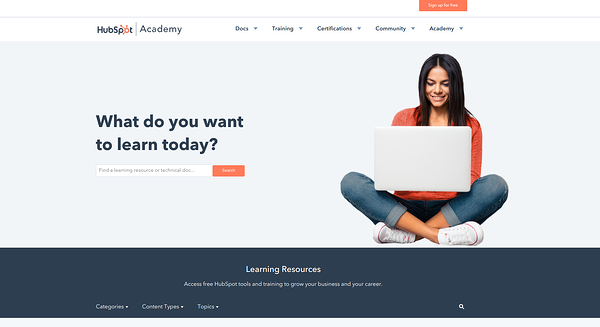 HubSpot Academy - webinars presented by experienced inbound marketers on the different aspects of inbound marketing, from theory to practical application and best practice. INBOUND Conference - an annual three day conference founded and hosted by HubSpot which provides news on any upcoming software developments along with training for users of all experiences. Last year, over 21,000 people from all over the world attended to see learning talks from leading marketers, plus guest speakers like Michelle Obama, Piera Gelardi and New York Times' bestselling author Brené Brown. Both HubSpot and InfusionSoft are excellent at contact management and keep detailed information on what your contacts are doing. But HubSpot offers a better interface to view. When using HubSpot, a prospect's behaviour and interactions with your digital efforts can be tracked all the way back to their first touch point, such as the tweet which brought them to your site in the first place. 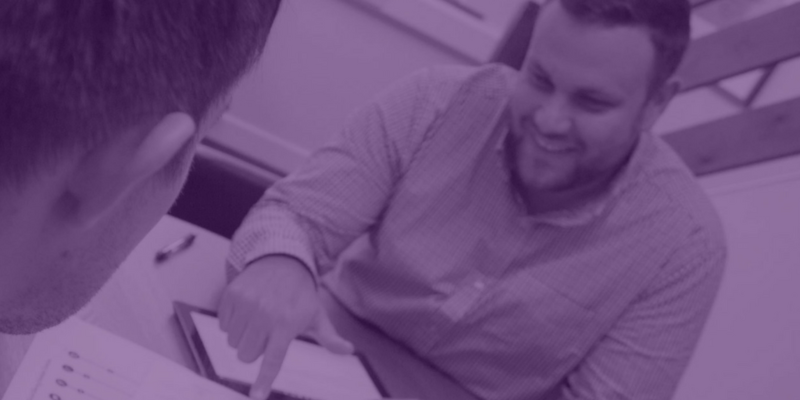 This offers your sales team invaluable insight into a prospect's journey and offers a world of context which makes closing leads a whole lot easier. And, in the end, this makes you look good. Your sales team will also be able to make great use of the pipeline and deal stage management features too. Similarly, InfusionSoft's Opportunity tool allows you to keep track of where prospects are in your sales cycle, from the point that they entered to where they are now and even what needs to happen in the future. InfusionSoft has the capability to automatically run reports on leads in each stage so you're able to view the number of sales won or lost and the projected revenue for a particular date range. This gives you insight into a potential customer's journey and makes it much easier for the sales team to close the sales. HubSpot also offers comparable reporting and pipeline forecasting in an easy to use dashboard. The main difference is the interface. InfusionSoft offers a "quick-view" format where you can click on the contact's name and all of their information pops down. HubSpot offers a timeline style view that can be customised to each person using the software, which is highly convenient as you can choose to see what you need to see. InfusionSoft doesn't offer this - everyone sees the same thing. InfusionSoft's packages are based on the features and number of contacts you can save in your database. HubSpot users pay a base price to access the core, essential features and you can choose your contact tier - so the platform can grow with your database alone rather than the tools you use. Pricing should never be the first thing you consider when you're choosing an inbound marketing platform. But there's no escaping it's always going to be a close second for most businesses. At the same time, pricing can be a deal breaker - particularly when two products are so similar, as is the case with InfusionSoft and HubSpot. InfusionSoft's packages are based on the number of features available and contacts in your database so the more you pay, the more features you'll get and the more contacts you're able to store. In contrast, HubSpot allows you to choose your contact tier. But all tiers have all the tools you need to conduct inbound marketing inside the platform. You can pay for more specialised tools such as smart content or reporting tools. Then, you can choose to pay to have more contacts. This allows HubSpot to grow with a company. So, Which Platform is Better? There are many reasons why you should use InfusionSoft and even more reasons why you should use HubSpot. Both platforms are remarkably similar. But ultimately, it comes down to what your business goals are as HubSpot and InfusionSoft have their own quirks which may or may not be what you're looking for. For example, InfusionSoft is built for eCommerce sites and offers tools eCommerce businesses might need - such as shopping carts and order forms - which HubSpot doesn't have without using integrations. For your business, this may outweigh being able to send and track your digital marketing all from within the one platform. 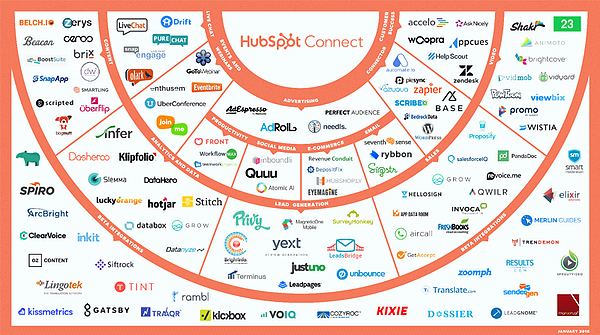 On the other hand, HubSpot is the all encompassing marketing suite and CRM hook-up. Their blogging tool is one of the most intuitive of any similar tool provided by other marketing platforms and you can A/B test elements such as CTAs and landing pages to continue increasing your marketing impact. InfusionSoft doesn't have a blogging tool nor is there a built-in A/B test tool which may make it more difficult to monitor what's going right and what's not. Want to Compare Other Platforms Too? Knowing which inbound marketing platform is right for your business helps but HubSpot and InfusionSoft aren't the only choices you have. There are many more you should consider. 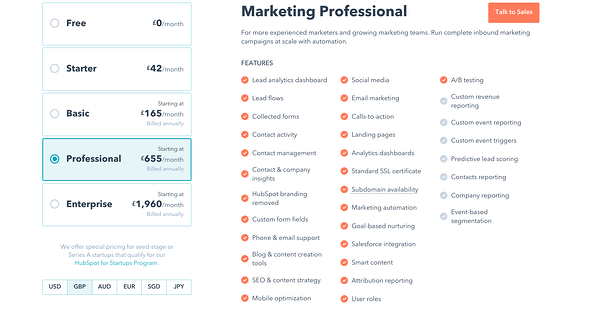 To help you out, we've created a Marketing Automation Comparison Guide which looks at four of the most popular platforms: HubSpot, Marketo, InfusionSoft and Pardot. Inbound Marketing Without HubSpot: is it Possible?